the good he does in this world. We provide good meals and much-needed items, such as toiletries and clothing, to the homeless and vulnerable in Adelaide and Northern suburbs. At the core of our values is compassion: we do not discriminate as to who is in need, but accept people at face value. Find us at Freemont Park, Gate 1 car park on Saturdays, 7:30 – 9:00. We set up on South Tce, just near Hutt St, on Sundays, 7:30 – 9:00. Find out more at our Current Projects page. We provide both hot and cold meals as well as fresh fruit & veg, bakery, dairy, pantry, cereals, toiletries, tea & coffee, plus clothing & footwear. This is all supplied FREE of charge. Get in touch with us if you’d like to make a cash donation. We rely on your generous support to make our work possible and we channel your donations straight towards those in need. We can distribute any items you have to spare, though we typically welcome food (of any sort fresh, pantry, bakery, dairy, etc.) and toiletries. All items are gratefully received and are put to good use. We rely on amazing volunteers to help us distribute items in the mornings. We’d love for you to come down and join us on either of our mornings. We also raise money with BBQs every Monday at Bunnings Munno Para – extra hands are always welcome! Drop us a line if you have any questions, or just come and join us for a cuppa and a chat. 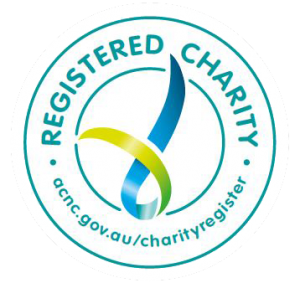 Cos We Care Ltd is a not for profit company which gained charity status in Nov 2016. Cos was founded in June 2015 by Ann and Laura. They wanted to connect with the homeless in Adelaide to show that they cared, so they went directly to the park lands with sandwiches and coffee and distributed breakfast to all. Since that first tentative Sunday morning, Cos has grown exponentially. We now serve around two hundred every weekend in Adelaide City and Northern Suburbs. From a humble start with a few theromoses, we now have two refrigerated vans which we use to collect end-of-day items throughout the week, as well as toiletries and clothing. All items are stored according to the highest Health and Safety standards. Fresh fruit & veg are collected on Fridays so they remain crisp and fresh for our weekend distribution. We have a great team of volunteers – we couldn’t exist without their amazing effort and we’re always happy to welcome more people to the team.